In Between The Pages: Look What Came In The Mail! Squee! My autographed copies of Origin and Sweet Evil finally got here. I have been waiting months for my Origin copy, and because of a small misunderstanding with dates I wound up getting a signed book mark too. 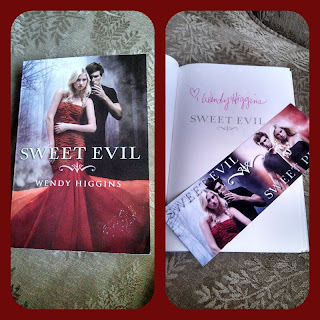 Thanks Windy Higgins and Jennifer L. Armentrout for the autographs. More Fallen By: Lauren Kate Movie News!! !